Paper Crafts by Candace: Jaded Blossom Monthly Challenge: Father's Day! Hi Everyone! 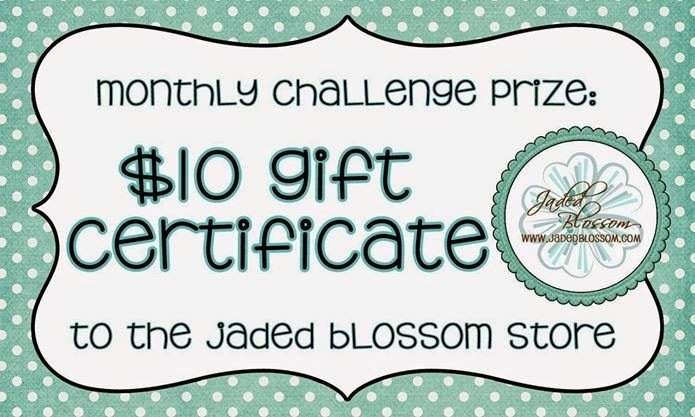 Its Jaded Blossom challenge day!! 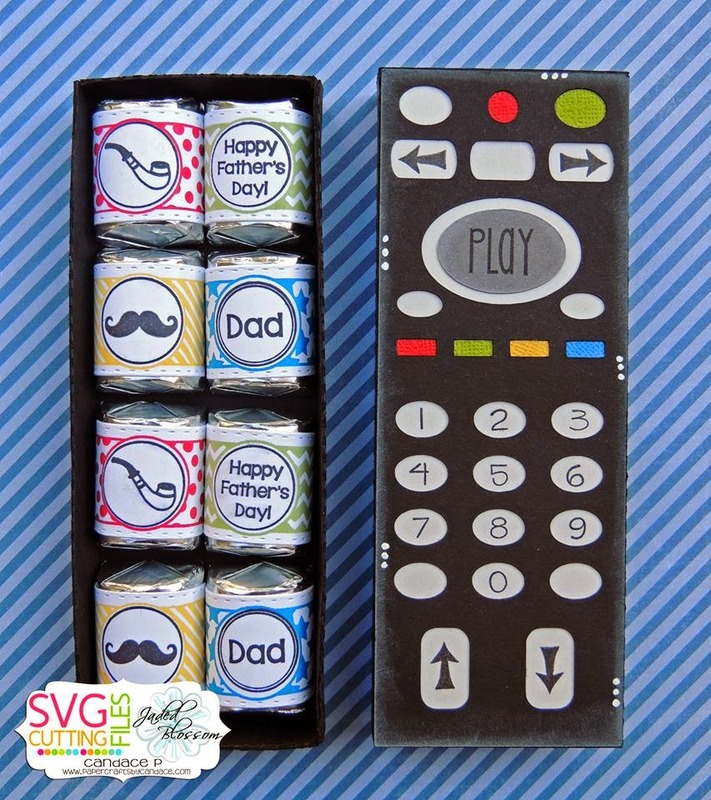 This months challenge is to create anything for Father's Day! Here is what I created for my dad. 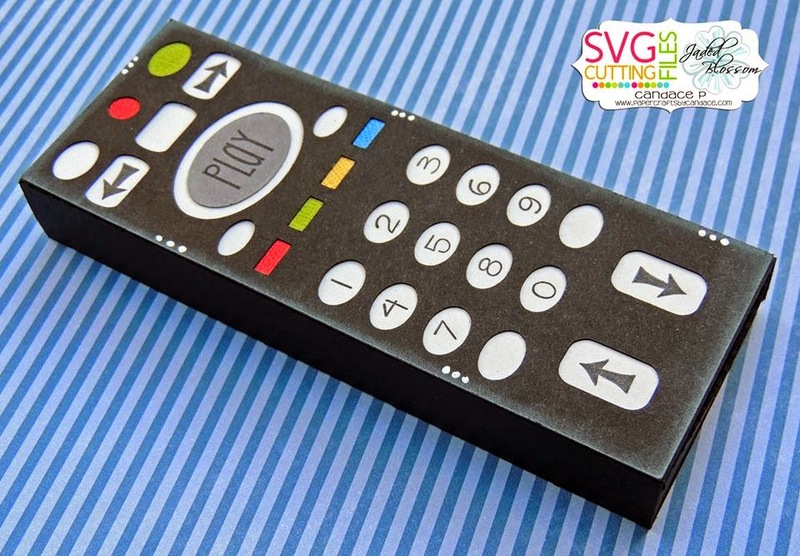 I freaking LOVE this new Remote Control nugget slider box from SVG Cutting Files!! This will be PERFECT for my dad. 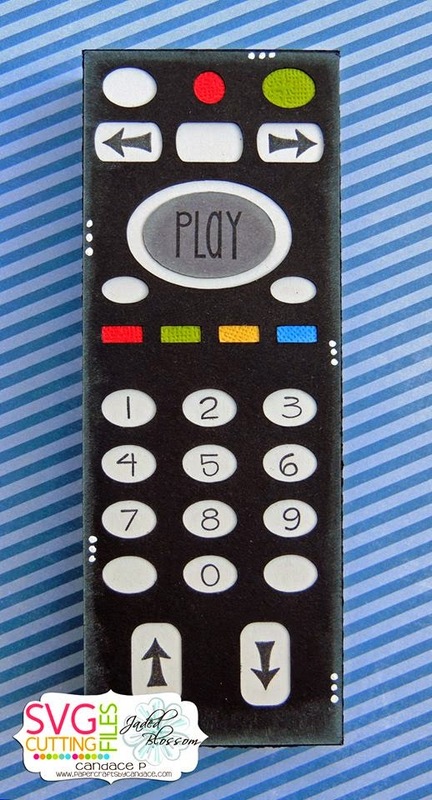 Growing up he was always in control of the remote and constantly flipping channels. I have since taken on that role in my own home, haha. Jaded Blossom's Journal Calendar stamps worked PERFECTLY for this remove. I used the arrows and numbers. Play is from Jaded Blossom's Picture This stamp set. It fits 8 hershey nuggets perfectly! 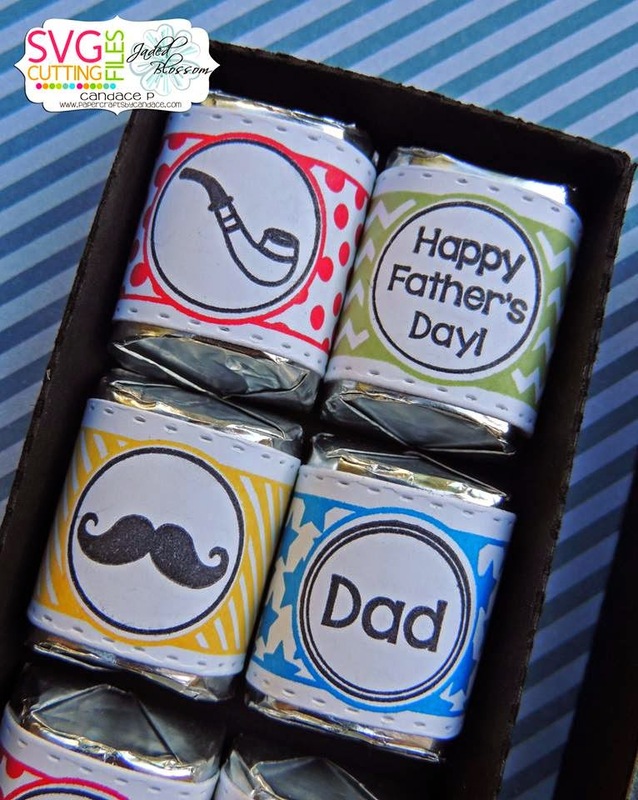 For my nuggets I used Jaded Blossom's Candy Wrap Dies, Candy Wrap Stamps and Father's Day. Super cute!! Perfect for my hubby. Oh my goodness! this is amazing!! 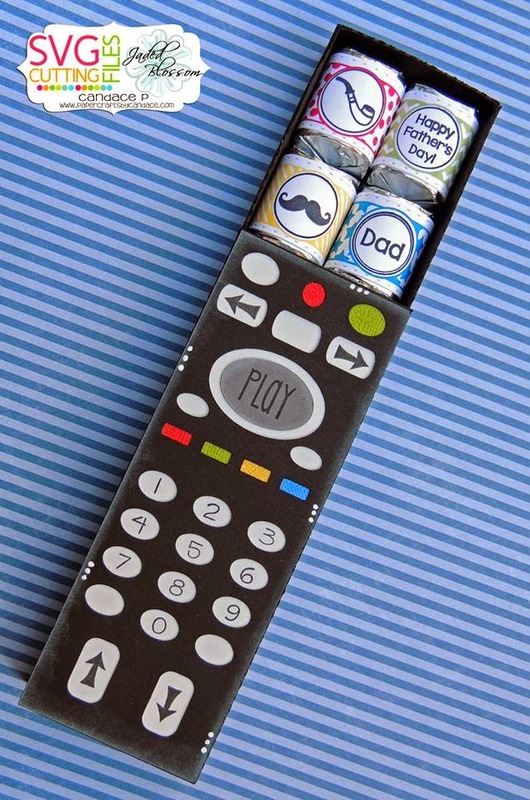 My fave, Love this remote so much.